ITB Berlin expects to host more than 10,000 exhibitors – including around 200 new exhibitors – from around 185 countries and regions this year. The event has registered a very strong growth from the GCC, with Saudi Arabia exhibiting for the very first time. Exhibitors from the UAE and Qatar have also expanded their stands in Hall 2.2, which now occupies 3,383 square metres in total. 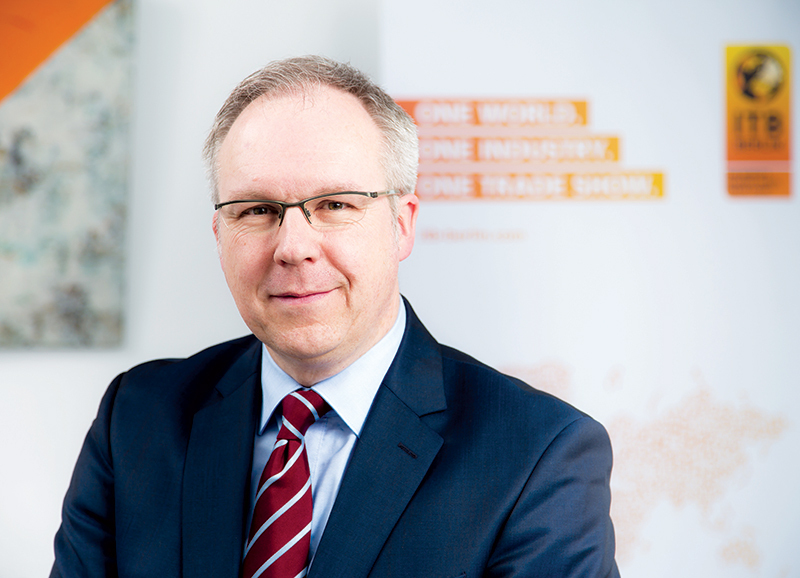 We spoke to David Ruetz, head of ITB Berlin, ahead of the travel trade show for more. What’s new in the 2017 chapter of ITB Berlin? We have reorganised the hall sections and have reallocated hall space at this year’s ITB Berlin due to current market changes in the industry. Now there is a better concentration of markets, which makes it easier for trade visitors to plan their visit and allows the growing markets to receive more space. 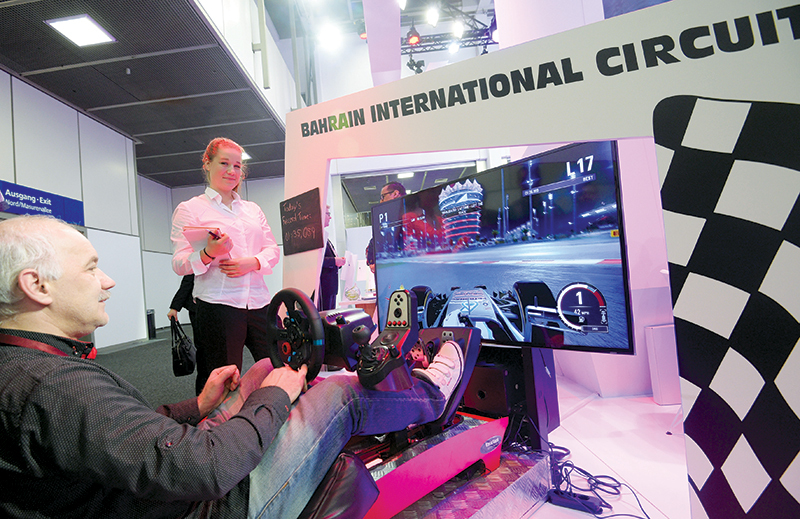 The new hall concept makes it possible for the fast-growing markets of the Arab states to enlarge their displays. Over the last 50 years, ITB Berlin has been a major innovative force in the international travel industry. This March, innovation will also be a key theme at the ITB Berlin Convention, which takes place from March 8 to 11. One of the key up-to-the-minute topics will be ’Disruptive Travel: The End of the World as We Know It’, where we will be looking at topics of great concern, as the international travel industry currently faces many challenges. The eTravel World at ITB Berlin is booked up and for the first time it will occupy two halls, with more than 70 exhibitors displaying their innovative products and services. In Halls 6.1 and 7.1c visitors can find established companies as well as newcomers, which include Aldebaran, Betterspace, Conichi, Dayuse, eNett, Igola, Paymentwall, Traveltripper and Wanup. For the first time startups will be able to take part in an international pitching event powered by Phocuswright. For the first time ITB Berlin 2017 will be fully devoting a platform to medical tourism, which has become an important fast-growing market. We have introduced a new ITB matchmaking tool for the ITB Speednetworking event where participants can book appointments in advance. Senior buyers who belong to the exclusive ITB Buyers Circle can get to know exhibitors at previously booked brief appointments. Personal invitations will be sent to exhibitors, who can invite co-exhibitors to register for the event too. At the World’s Largest Travel Trade Show, Botswana, this year’s official partner country, will be whetting visitors appetites for safari and wildlife tours. This country has been described as one of the planet’s last big treasure troves and is an important refuge for many endangered birds and mammals. Slovenia is this year’s official Culture & Convention Partner and will be showcasing its cultural and natural attractions at the ITB Berlin Convention. In the future, this country aims to promote sustainable tourism and activities in nature. For the very first time Airbus as an airplane manufacturer is exhibiting in hall 25.Togo, Senegal (Hall 21) and Andorra (Hall 2.1) are returning as exhibitors this year. Can you tell us about the new medical tourism focus and how it will boost business from Arab countries? Anatolia Hospital, Acibadem Hospitals Group and Dünyagöz Eye Hospital Group from Turkey, some exhibitors from Dubai and the Polish spa group Polska Grupa Uzdrowisk will be presenting their new medical tour products and information to visitors. On Thursday, March 9, representatives of Health Cluster Portugal, A-One Health Bridge, the Croatian National Tourist Board and the Hotel School The Hague (Holland) are scheduled to give lectures followed by a networking reception. Can you throw some light on the different findings from the recently releases ITB World Travel Trends Report? Medical tourism has been increasing for years, for which there are many reasons: Some value the better quality of the medical infrastructure in certain countries and undergo measures that cannot legally be offered at home, such as fertility treatment for those who want children. According to a new report by Visa and Oxford Economics, the current turnover of the world’s medical tourism industry is around $439 billion. Over the next ten years the growth is forecast to reach up to 25 per cent. Especially countries from the Middle East, for example the UAE, are working hard to build expertise in the medical field to become one of the hubs for medical tourism in the region. In 2016, Jordan was even awarded the Medical Destination of the year by IMTJ Medical Travel awards. Our new medical tourism segment will help the Arab countries to make people even more aware of its potential as a hub for medical tourism. Terror attacks and political unrest had no impact on the overall volume of worldwide outbound trips this year. The global travel industry remains on a growth path, and the number of outbound trips will probably increase by about 4 to 5 per cent next year. The outlook for travel in 2017 is very positive. Political unrest or terror attacks did not affect the overall volume of foreign trips but certainly the choice of destination. There is a particularly strong growth for outbound trips from Asia, with a likely rise of 6 per cent, along with increases of about 5 per cent for outbound trips from North, Central and South America and of 4 per cent from Europe. At a regional level, there was strong growth in international tourism for Asia Pacific, good increases for the Americas and overall low growth for Europe. Africa generated an overall 8 per cent increase thanks to a strong comeback for sub-Saharan destinations. Available data for the Middle East points to a 6 per cent decrease in arrivals, though results vary from destination to destination. How many new exhibitors have signed on so far? Once again, we expect more than 10,000 exhibitors (including around 200 new exhibitors) from around 185 countries and regions to be at ITB Berlin this year. We have registered a very strong growth from Abu Dhabi, Etihad, Ras Al Khaimah and Qatar Airways and for the very first time Saudi Arabia exhibits as a country on a 300-sq-m stand in hall 4.2. Exhibitors from UAE and Qatar will be presenting their many products and services on an enlarged stand in Hall 2.2 which now occupies 3,383 sqm in total. What are your expectations from this year’s event in terms of business generated? I believe the expected figures 2017 will equal the previous year's level of around €7 billion ($7.4 billion). What inbound and outbound travel trends do you notice in Germany especially in relation to the Middle East and the GCC? In the coming season, the Mediterranean countries will certainly be among the most popular destinations. Italy, Spain and Greece are also likely to be among the winners in 2017. However, Turkey has to fear declines due to the current political situation, as aspects such as security and political stability in the holiday region are becoming increasingly important. In the past years, Germany has become more attractive for many holidaymakers. Vacation at home has become more interesting again, this trend will probably continue. The Middle East will be gaining ground fast on the industry's traditional leaders and I think is an emerging travel market overall. They are not as dangerous as people might think. In fact, many of these countries are far safer than some other US or European cities.